Needed to eat while waiting for flight. Mostly chicken options, other then beef/broccoli there was no other meat options. Rice was good. Will eat somewhere else next time. 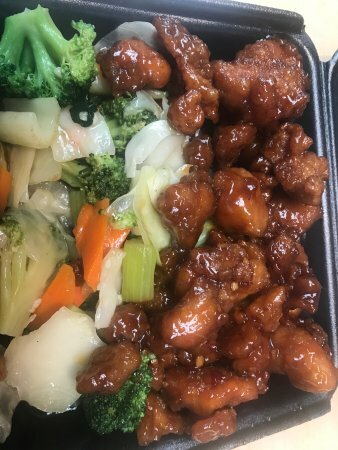 This is very much like Panda Express--but I think much inferior. 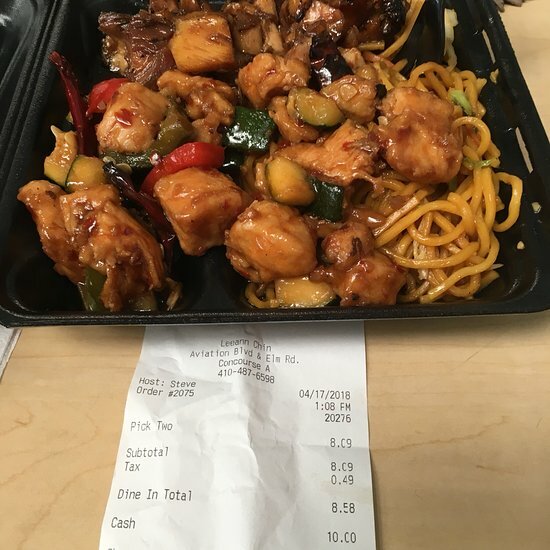 Kind of routine and cheapish entree choices--and noodles kind of greasy. 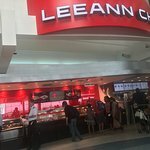 I had the 3 item meal with rice ,the chicken had great flavor,the beef n broccoli was very good ,rice was okay it was pricey but it is airport food ,it was very filling . 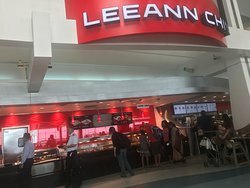 Even though this restaurant in the food court was busy and crowded, the service was quick, the order was accurate, and the food was tasty and satisfying. Enjoyed a quick meal. 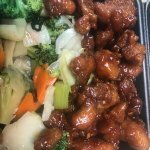 Food was fresh, service good and value excellent. Happy with my choice. Food was flavorful. 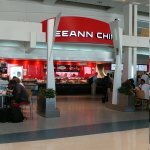 A good choice for food at BWI. 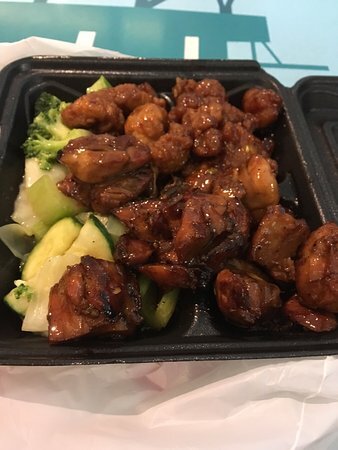 Plenty of meat and vegetables, rice or noodles. Quick service. Plenty of seating in food court area. 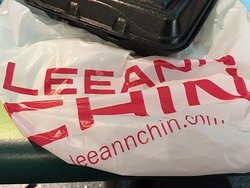 Get quick answers from Leeann Chin staff and past visitors.